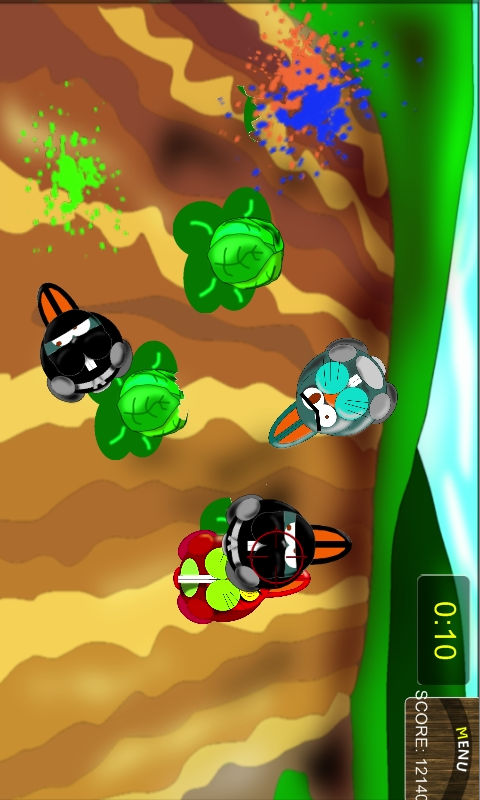 Fast action shooter game for Android platform from Ficus Frenzy Games. 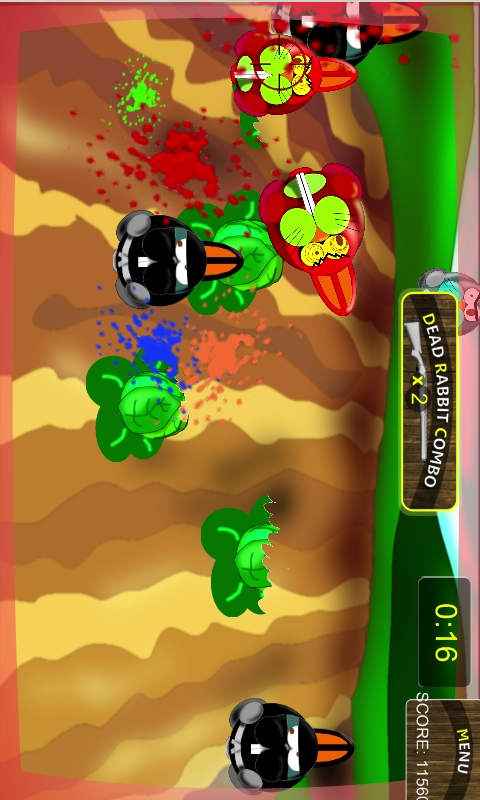 Rabbits Beware brings funny cartoon graphics and fast paced action to your Android mobile phone. You play a role of a farmer who must defend his crops from being eaten by freaky rabbits. They come in all colors and sizes but with a single mission: to eat or destroy your vegetables. You can use your gun or help from your friend the DOG to exterminate rabbits and live in peace again on your beautiful farm. 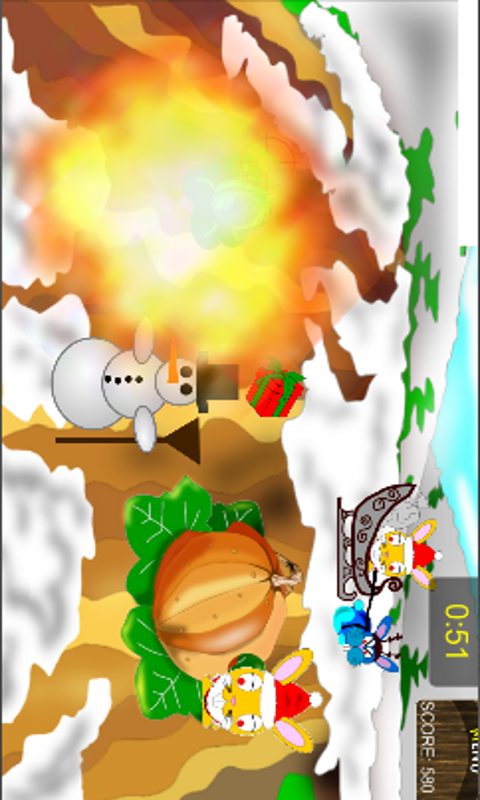 Game is accompanied with fast country music and great visual effects. Day and night levels bring a lot of satisfaction to player who can also earn many achievements and compare them with friends. Rabbits Beware!